Vous souhaitez poser une question à l'établissement Ponlaan Apartment ? Très bien situé à Nakhonratchasima centre, le Ponlaan Apartment est le point de départ idéal pour vos explorations de Nakhon Ratchasima. La position stratégique de l'hôtel, à seulement 0.2 km du centre-ville, permet aux clients de rejoindre facilement et rapidement de nombreux sites touristiques. Avec les principaux sites de la ville, dont Wat Sala Loi, Marché de nuit de Wat Bul, Temple Phra Narai Maharaj, à proximité de l'établissement, les clients vont adorer cet emplacement. Le Ponlaan Apartment dispose de nombreux équipements pour rendre votre séjour à Nakhon Ratchasima encore plus enrichissant. Les clients de cet établissement peuvent profiter d'équipements tels que service en chambre 24h/24, WiFi gratuit dans toutes les chambres, réception 24h/24, WiFi dans les espaces communs, parking. Toutes les chambres ont été conçues pour le plus grand confort des hôtes. La plupart d'entre elles disposent même d'une gamme d'équipements tels que télévision écran plat, internet sans fil (gratuit), chambres non-fumeurs, climatisation, bureau, et bien plus encore, qui satisferont les clients les plus exigeants. Grâce au vaste éventail de loisirs proposé par l'hôtel, les hôtes ne manqueront pas d'activités durant leur séjour. À tous ceux qui cherchent confort et commodité à Nakhon Ratchasima, posez vos bagages au Ponlaan Apartment. L'hotel est relativement bien situé à proximité du marché nocturne. L'hotel est prêt de la gare et des stations de bus. Les chambres sont relativement petite mais très propres. Le seul désavantage est que l'évier se trouve sur la terrasse et l'hotel ne possède pas d'ascenseur. Not too bad.Clean and nealy food shop. Maybe we can sleep without problems. This hotel would be suitable for the price. Once again, I am seriously mislead by the photographs in Agoda. It took me an hour to locate this place even I am right in the middle of the town center. I believe this is is place catered mainly for travellers from other provinces with either a very short stay or migrant workers. Everything is extremely basic and there was not even a chair within the room. The only consolation are the good internet connection and the refrigerator. Its a motel type of hotel where you can park your car right in front of your room. Overall my stay was nice and comfortable. Room was dirty, shower is over the top of the toilet, wash basin is outside on the landing. Reception staff are not helpful. Will be telling people to stay away. Pleasant enough for a short stop over. It is more like a block of apartments block. 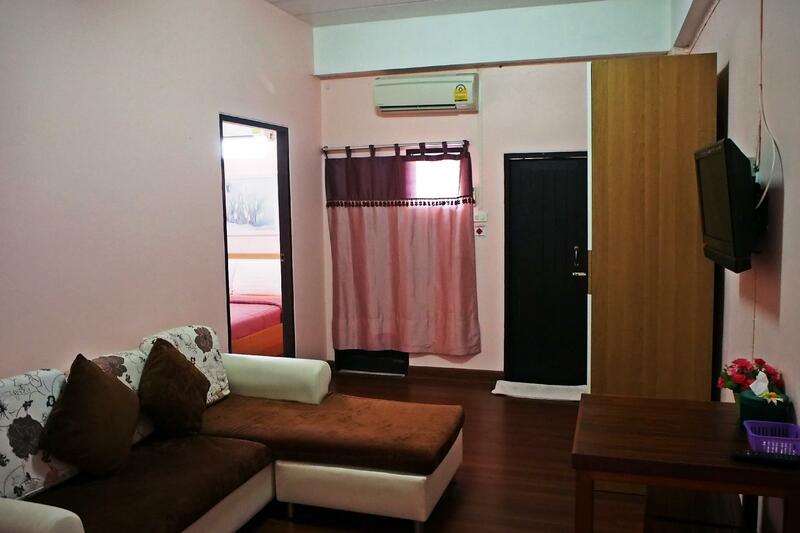 If all you are looking for is a bed and a bathroom, Ponlaan Apartment would meet your requirements at ver little cost. we booked a suite. it was interesting with the sink on a balcony but the living room had a fridge, tv and comy sofa. bedroom was small but ok. it is a long way from the centre of town and hard to get a taxi. it rained during our stay, meaning we had to walk back through flooded streets. if you have car and are on a budget it is ok, otherwise give it a miss. Our stay at Ponlaan was very pleasant. The staff were friendly and the general decor was relatively modern. The rooms were a good size and came with sizable cupboard/drawer space also. Our rooms were always cleaned to a very good standard when we left the complex. The apartment was little far from the centre, however, Tuk-tuks are aplenty and reasonably priced and there are many songthaews about also (the staff are happy to give direction in this regard). There were local amenities and a night market close by so the location was, by no means, a negative. After arriving directly there was a problem about if the appartment was booked with or without breakfast. The room was clean, too bad agoda doesn't place pictures from the bathroom. Taking a shower (not much pressure on the water)means the toilet gets wet and the sink is located outside on the balkony. Everything else about the room is ok. Airco, many TV chanels(also in English), shampoo, soap, toiletpaper and drinking water was available. Breakfast is a different story: There is no choice in breakfast and you need to tell at what time you want to have it. First morning it was rice with pork (with bones in it) some fresh fruit and coffee or thea. Not my first choice(the pork with beans) But the owner asked what we would like to have the next day. And so the next morning all the guests had toast with eggs and jam, with fruit juice, fresh fruit and tea or coffee. Since I was the only foreigner staying there, all the other guests had the same. That's the advantage of being Farang. It is worth the 400 Bath, but the normal price agoda is showing is really crazy and not true. Walk in price is 399 + 50 bht for breakfast. You save 50 bht. Good to sleep if your not planning to spend the day at your appartment. Not in walking distance from the centre. Thanks to the owner, we had a good talk and I had a nice time. Newly refurbished apartments - clean and comfortable 10 minutes walk from night market. Located in a quiet soi away from busy main streets - taxi driver had trouble finding it. Staff were very friendly and helpful. Breakfast Thai style but very good and plenty of it. An enjoyable stay,and good value, I would choose Ponlaan apartment for my next visit. The room was absolutely clean. It was a nice one, although bit far from the centre and the bus stations. Brekky was also nice as well. This place appears to be a former apartment building which was rented out on a monthly basis so the design is somewhat awkward as the wash basin is located outside on the balcony and there is no mirror for shaving etc! 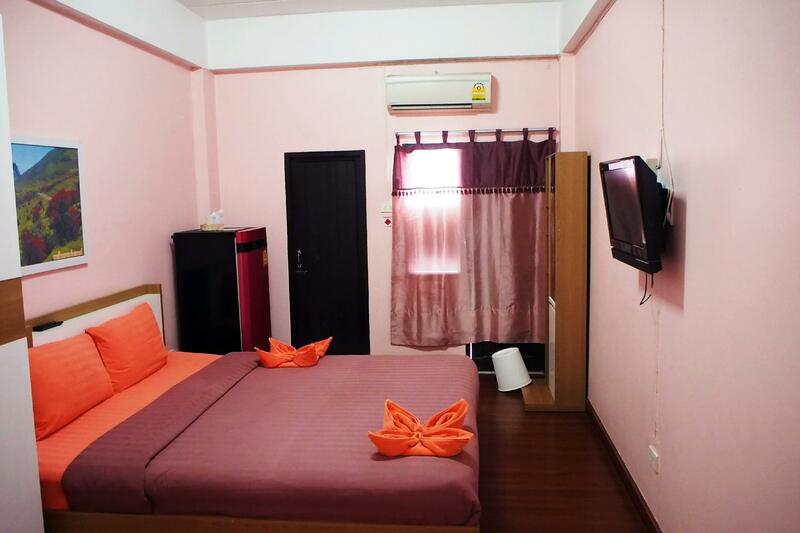 Otherwise it is a nice budget hotel for a short stay in Korat,although location is not that great. Die Tempelanlagen sind sehenswert ! Die Stadt selbst ist sehr momantisch und leit zu erreichen Am besten sind die vielen Taxis ( pro Person 8 Bath )und sehr gute Verbindungen auch ausserhalb der Stadt. Außerdem sind die Busverbindungen nach allen Richtugen einfach zu erreichen und sehr pünktlich. Leider sind die Einrichtungen, speziell das Bad sehr alt. keine Möglichkeit um Sachen abzustellen. Alt und unhygienisch in allen Bereichen. Kanal stinkt und sehr schlecht. Das Handwaschbecken im Aussenbereich et ebenfalls ohne Kanal. Das Abwasser rinnt in das Badezimmer aus der Wand.Kein Spiegel oder sonstigen im Bad.